When I first came to Romania, over six years ago, I very much enjoyed the fact that Bucharest emptied every Friday afternoon and I could have the city to myself until Sunday night. No queuing in bars and restaurants, no threat of horrible death on the deserted boulevards and those who remained in town for the weekend could often be seen smiling. ‘Perfect’, I thought and when my Romanian colleagues at the time asked me why I didn’t leave town and go to the mountains every weekend I could smile and reply, ‘Because that’s where everyone else goes’. Eventually I gave in and took the train to Sinaia, to be amazed by how beautiful Romania, outside of Bucharest, is. Now, after years of exploring Romania’s countryside, I finally made it to Suceava county in the north of Romania and I can tell every reader, their friends, their relatives and anyone else with whom they can share the word that this is a region of incomparable peace and tranquillity. I grew up in the Scottish country side, in an area where it was possible to become immersed in the sights, sounds and the atmospheric clarity of a natural world that many of us have simply forgotten and I have never experienced the same sense of peace until my recent visit to that region on the border with Ukraine. 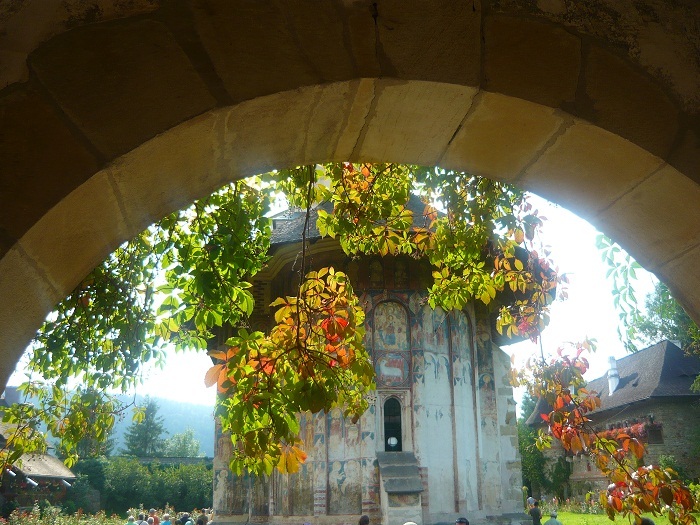 Of course the world famous monasteries in the region are extraordinary. Living, working memorials to the regions medieval greatness under Stephen the Great, the leader who resisted the Ottomans with faith, strength and intelligence. Within their walls, admiring the frescoes on the sides of the great churches, it is possible to feel true greatness of the kingdom when comparing these sites to others left to us from the period in other countries. But it is not simply these historic jewels that inspire. The rolling landscape, lush and cultivated throughout, is punctuated by fascinating villages buzzing with life close to the land and completely at one with the natural world. In this environment all thoughts of the city, the office and the financial and political crises simply fade to nothing. The sense of what is important in life radically changes almost immediately, along with an enhanced awareness of real value. Here people live with the land and with the other creatures that share it with them. What could be further from the man-made chaos of the city, any city. Although, I have to tell you that I met a future CEO outside one of the monasteries. A young man, around twelve years old, selling plums at the entrance, dressed in a twenty-five-year-old Boys Brigade jumper (I’m not joking). His older competition, attempting to explain her higher prices, remarked that her plums were fresh. ‘Mine aren’t?’ he countered with victorious contempt. Another wonderful moment. The area is riddled with wonderful pensions providing simple but boundless comfort and restaurants serving traditional dishes made entirely local produce. The people are strong in every sense, sincere and honest and believing that what you see is what you should get. And the pace of life is slow but never ending, creating the stress-free zone we are always looking for. And you can literally feel your lungs being cleaned every minute you breathe the air. My advice is that anytime of the year, when things are getting out of hand in your daily life, book a pension get in your car and head up to Suceava county. There you will find true sanity.